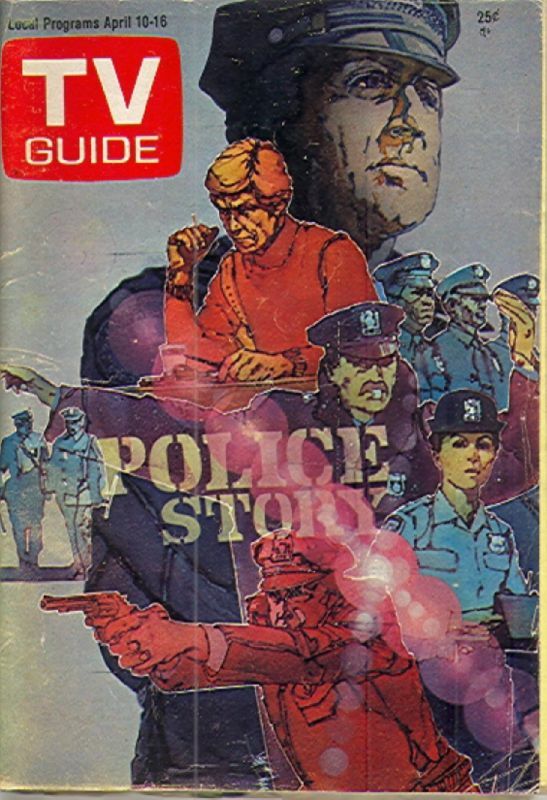 POLICE STORY, SEASON 1: The Psychology Behind The Badge – Schlockmania! Cop shows have been a reliably popular staple of television programming since the medium’s early days. That said, it took a long time for the genre to develop the kind of emotional and psychological complexity it is known for today. Early cops shows tended to be cut-and-dried affairs where the cops were straight arrows and the line between good and evil was obvious. You might have gotten a certain realism in the portrayal of police work but rarely got much insight into the cops themselves. 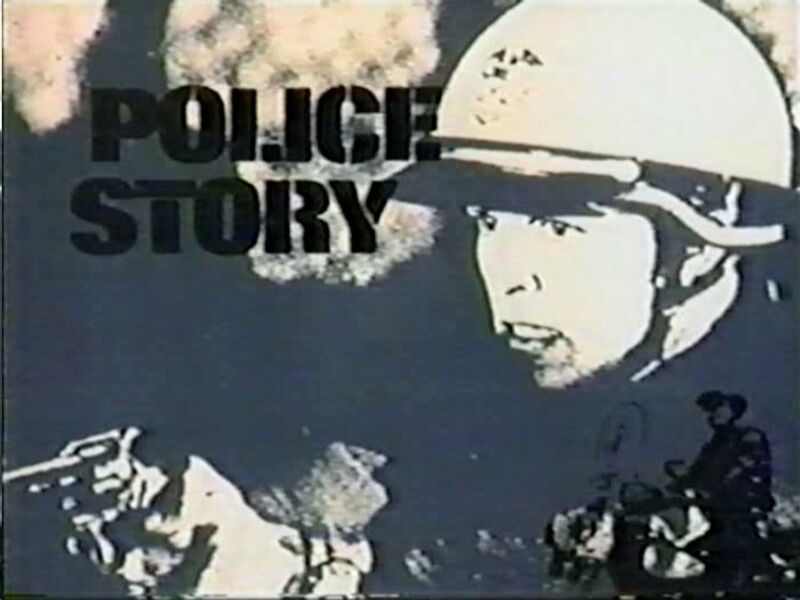 Police Story came along in 1973 and changed the genre for good, introducing a new maturity and depth to the genre by turning its focus on how the work affected the officer and vice versa. It was the brainchild of Joseph Wambaugh, a policeman-turned-writer who reinvented the idea of the cop novel via hard-hitting, complex books like The New Centurions and The Blue Knight. When the latter novel became an early example of a hit mini-series, Wambaugh was approached to create a show for television. 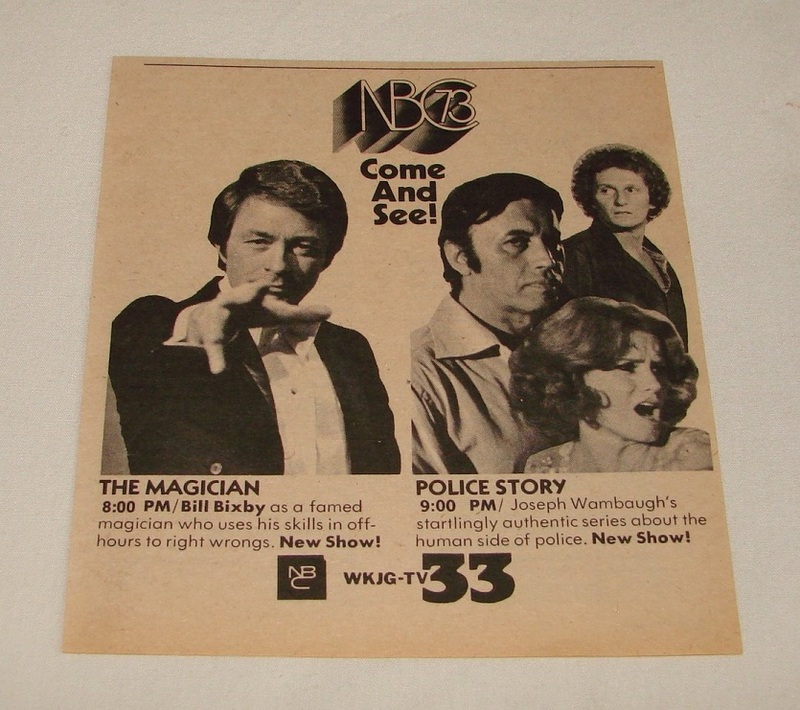 What Wambaugh came up with combined one of television early hit formats – the dramatic anthology – with the kind of tense, gritty stories that cop-show fans associated with television. Thus, Police Story broke rules out of the box by doing away with the idea of having a set group of characters or an ongoing story to connect its various episodes. Instead, each week offered a standalone story with a different set of cops. The only thing viewers knew for sure is that they would see something different each week. Thankfully, this gambit paid off thanks to two elements. 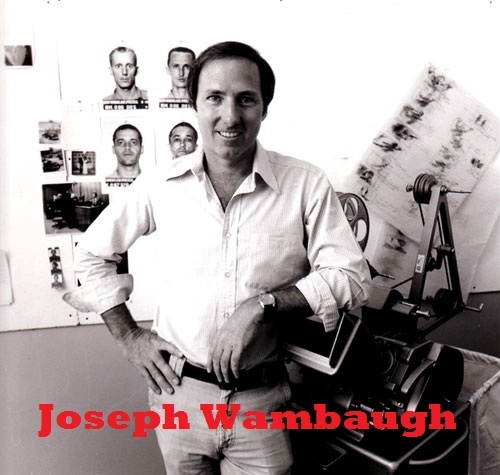 The first was the insight and guidance provided by Wambaugh. 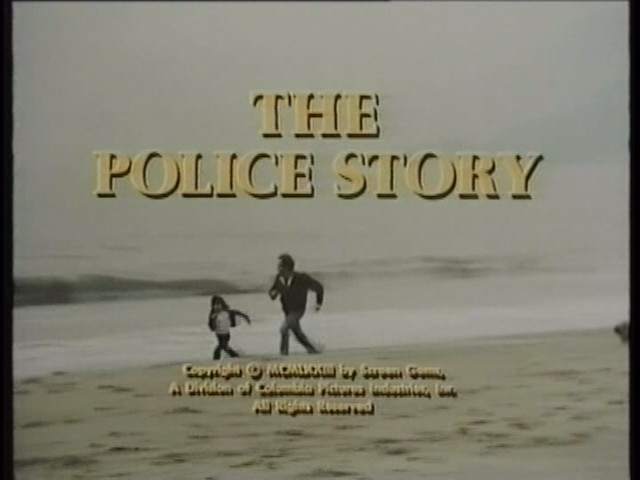 Even though he did not write the episodes themselves, he worked with the writers and connected them with real cops to ensure an authenticity to the show’s portrayal of police life. The second was the commitment that David Gerber showed in getting worthwhile talent to work on the show. He had the filmmakers do a lot of on-location shooting and packed each episode with familiar faces. Most importantly, he hired the best t.v. directors of the era – William Graham, Marvin Chomsky and Barry Shear, to name a few – to helm the episodes in a cinematic style. As a result, each episode of Police Story‘s first season is on a competitive level with cop movies of the era in terms of both depth and style. It even kicked off with a feature-length narrative called “Slow Boy” that pitted cop Joe LaFrieda (Vic Morrow) against a clever thief (Chuck Connors) who has turned to armed robberie s of grocery stores. There is plenty of the excitement that cop show fans would want – the episode begins and ends with tense standoffs between the two leads – but the story spends as much time on the inner life of LaFrieda, who is reeling from a recent divorce and trying to find a balance between his personal life and his obsession with his work. The end result engages viewers without coddling them and is involving in a way a more formulaic show could never be. The rest of the season keeps the pace with the quality of this pilot, consistently delivering interesting variations on its “life of a cop” theme. For those who crave excitement, the first season features several episodes in a procedural style: “Death On A Credit” features John Saxon as a cop trying to infiltrate a credit card fraud ring run by a departme nt store’s security men and “The Gamble” stars Angie Dickinson as a rookie vice cop who finds herself in the middle of a gambling operation where the ringleader (a menacing Joseph Campanella) wants her to do more than be nice to the gamblers. The latter episode is especially noteworthy because it led to a popular spin-off series in Police Woman. However, there is much more to Season 1 than cops and robbers interplay. There are just as many episodes that deal with other areas of police work. For example, “Fingerprint” is a strong character study that explores the life of a cop (Earl Holliman) in the title division, who is trying to help find a murderer while working his way through a midlife crisis over his less-exciting role in police work. Another unique episode in this vein is “Chief”, which follows a police chief (John Forsythe) over the course of a hectic day. The threat of a potential assassin provides the episode’s narrative backbone but it is more interested in exploring how he deals with poor cop-citizen relations in a ghetto area and the political games that he has to play with city officials as part of his job. That said, the most powerful episodes in the first season of Police Story are the ones that go deep into the psychology of the police officer. Highlights in this area include “The Ten Year Honeymoon,” which depicts how the relationship between two partners (Paul Burke, Claude Akins) starts to deteriorate when one half of the team begins acting in a strange, erratic manner. The ultimate revelation behind this turn of events is as haunting as it is understated. Another contender in this area – and perhaps the best episode of the season – is “The Wyatt Earp Syndrome,” a sort of cautionary tale about what happens when a young cop (Cliff Gorman) allows the job to overtake his relationships with others, especially his wife (Kim Darby). It is devastating in a quiet way and one of the best single hours of television you’ll ever see. In short, Police Story‘s first season retains its impact and depth several decades after the fact. Looking back at the show, it is easy to draw a direct line between it and subsequent psychology-driven police shows like Hill Street Blues and NYPD Blue. On a simpler level, it’s just damned good television all the way around. If you have any interest in the genre, this is required viewing.